The loyalty program is very simple. We issue $5 in store credit for every $100 you spend per order. You also get $10 just for signing up. Store credits are issued immediately after your order ships and are only issued on the total value of the parts after discounts excluding cores charges and shipping charges. Simply purchase a replacement of the same part SKU, ship the defective part back to us, and we will issue you a credit once approved. It is that easy! If a part is not eligible for eEuroparts For Life™ it will be noted prior to purchase and additionally noted during the returns process. 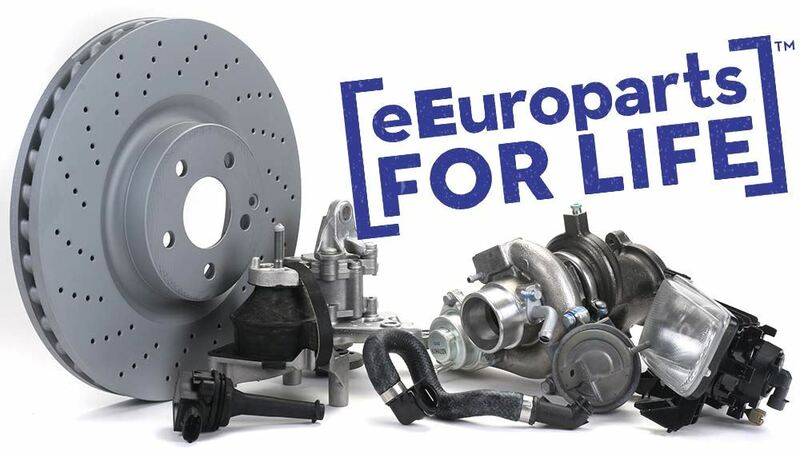 eEuroparts.com® reserves the right to modify the conditions of this warranty at any time for any reason. We don't plan on it but there will certainly be ways that people attempt to use this warranty other than how it is intended to be used. This warranty does NOT cover any labor or secondary damage resulting from part failure. Except in one circumstance see below. If the part is specifically a "Genuine SAAB", "Original SAAB", or "SAAB Select" part and was originally installed by a SAAB Official Service Center. 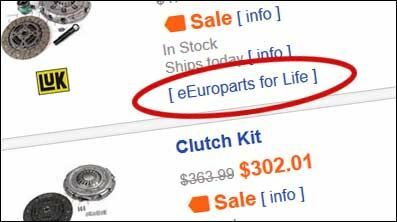 Buy your Genuine SAAB parts from eEuroparts.com® and have it installed at your local OSC. If the part becomes defective simply return to your OSC and have them perform service and warranty exchange. You should check with your OSC prior to ordering as some OSCs require that you purchase the part from them in order for them to install. Find a local Saab OSC [here].